This is a bluetooth speaker / front light combo device for the bicycle handlebar. Connects with cell phone for hands free call and other applications. 3 light modes (Strong, Weak, Flash). We used this speaker/light combo on our bicycle and our electric scooter. Besides hands free calling, you can also connect to internet radio channels via your mobile phone for more entertainment options. When connected to a navigation application on your cell phone, this speaker amplifies the directional instructions, thus makes it easier for you to navigate to new destinations. 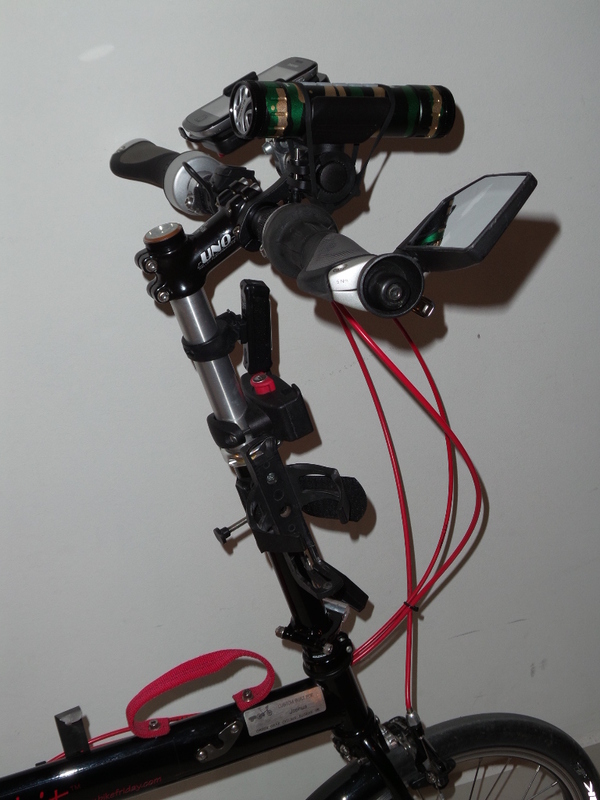 The handlebar mount is rotatable. 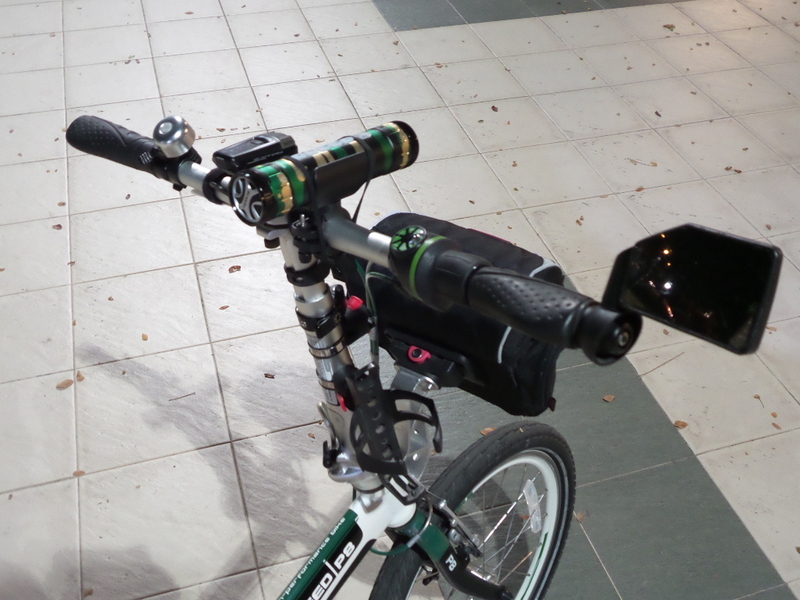 You can choose to mount on handlebar or the vertical stem of a kick scooter. We thought this combo device can also be useful as part of an emergency kit. 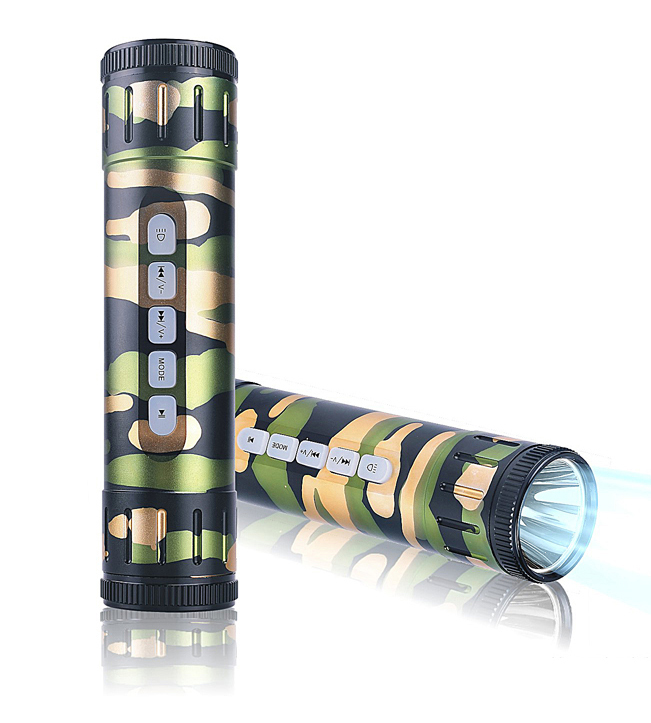 It is a torch light to use in a blackout situation, its built-in radio can be used to tune in to any emergency news on broadcast. Some users might find the light beam slightly narrow. The beam width is not adjustable.